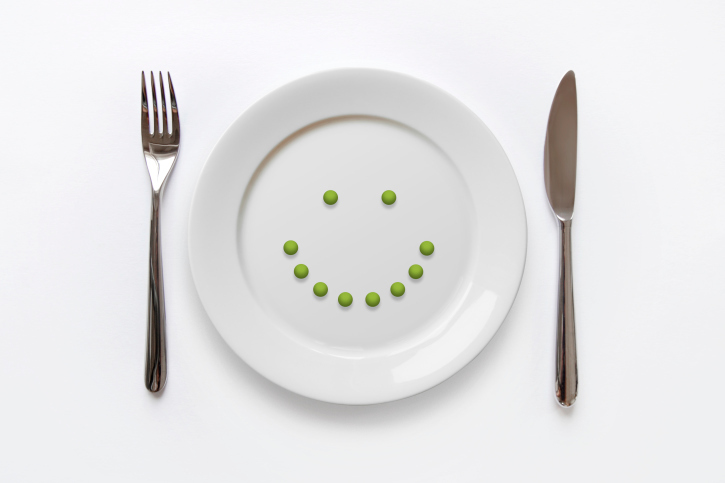 Home » Food and Nutrition » Is there a link between diet and depression? The typical American diet doesn’t get much slack—it’s been linked to cancer, diabetes, obesity, heart disease, and a slew of other conditions that nobody wants. Now, researchers are adding another ingredient to the list of this dietary disaster: mental illness. I can be a bit of a sucker for sugar. Every once in a while, a few times per year, I just need to eat a lot of junk food. These cravings tend to last a few days, and over that time, I like to indulge myself with foods like chocolate-covered peanuts, pretzels, donuts, and French fries. Not all at once, but I spread them out over the course of the week. But as good as it is going down, it wreaks havoc afterwards. It’s almost like I get a hangover about 30 minutes after I’ve taken in the sugar—and it lasts and lasts. I feel physically, emotionally, and mentally crappy…and then I crash. Soon after, I need to get back to my healthy nutrition practices to feel better. As a casual observation, I’ve noticed that the people in my life who have poor nutrition habits tend to be unhappier than my friends and family members who eat a healthy diet and get exercise. This wasn’t always the case, but I’ve noticed a bigger change as they’ve gotten older. The more junk a person eats, the unhappier or more negative they seem to become. Now, this is a tough topic, much like one of those “what came first: the chicken or the egg?” type of scenarios. After all, is the person unhappy because of what they’re eating, or are they coping with depression by eating more? New research is suggesting that your microbiome—the makeup of organisms living in your intestinal tract (good and bad bacteria)—has a relationship with your brain and plays a significant role in your mental health. When you eat high-quality foods like fruit and vegetables, unprocessed meats, unrefined carbohydrates, healthy fats, whole grains, and fish, your microbiome creates a better balance of good bacteria to help break down nutrients and process waste. On the other hand, a diet high in refined sugars, processed foods, and other staples of the American diet produce more bad bacteria, which can result in disease and illness. This is also true for mental illness, as research appears to have uncovered that people who eat better experience a lower frequency of mental illness. Recent studies on rodents have also shown a strong association between an unbalanced microbiome and changes in brain chemistry. These changes affect mood and behavior, while encouraging anxiety and depression. Studies on humans are still in the early stages, but in my opinion, the results will be similar. These associations are recognizable, and mental health issues seem to have coincided with the rise of the American diet. According to the National Institute of Mental Health, a quarter of Americans suffer from a diagnosable mental health condition every year. So far, the research that’s been done linking diet to depression is still in its preliminary stages, but it offers a strong association. The work does not indicate a cause and effect relationship between diet and mental illness yet, but my guess is that it will in time. Carpenter, S., “That Gut Feeling,” American Psychological Association web site, September 2012; http://www.apa.org/monitor/2012/09/gut-feeling.aspx, last accessed May 22, 2014. Foster, J., “Gut-Brain Axis: How the Microbiome Influences Anxiety and Depression,” Trends in Neurosciences May 2013; 36(5): 305–12, doi: 10.1016/j.tins.2013.01.005. “Health Eating and Depression,” Mental Health Foundation, U.K. web site, 2007; http://www.mentalhealth.org.uk/content/assets/PDF/publications/healthy_eating_depression.pdf, last accessed May 22, 2014. “The Numbers Count: Mental Disorders in America,” National Institute of Mental Health web site, 2014; http://www.nimh.nih.gov/health/publications/the-numbers-count-mental-disorders-in-america/index.shtml, last accessed May 22, 2014.